Carl Icahn with his warning about the big sell down coming can be right on the money. KING IPO is crushed today and Web Bubble 2.0 can be very close to the major correction. 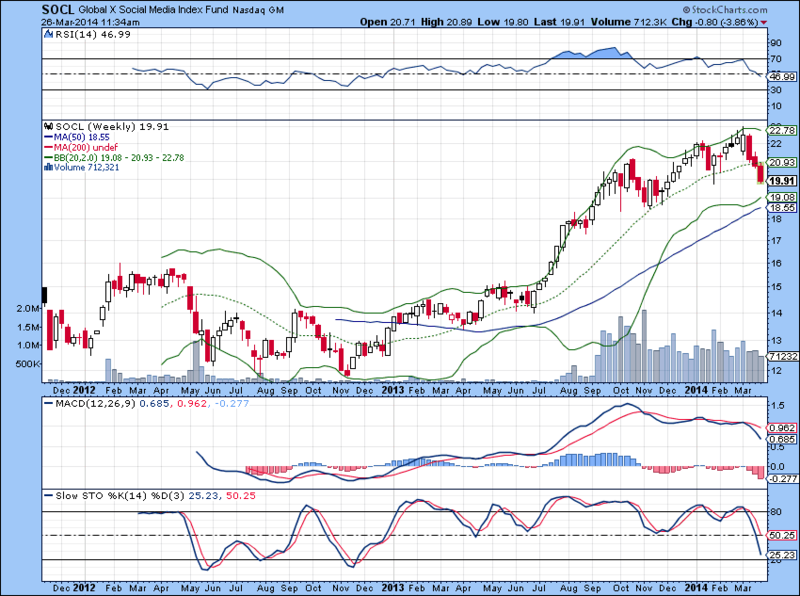 Social Media darlings are sliding down recently as we can see on the chart above. We are just wondering has all world gone totally nuts or it is only virus spreading in the West? Mobile games are the most important thing right now judging by the Valuations and The Bubble Media buzz, only "stupid" Chinese are buying all Gold they can get and the best Copper and Lithium projects around the Globe. We will see who will be right in the end. "Carl Icahn knows how to move Apple share price with couple of tweets, is he now engaging with the FED and will demand to Taper The Taper? His Call today about the Major Sell Down Of Market Coming is very well timed. On the daily chart above you can see very ugly Bearish Candle printed last Friday. We have very well defined Double Top Bearish Reversal in place." "Having IPO'd at $22.50, King Digital Entertainment - the maker of Candy Crush - opened disappointingly this morning at $20.50 and is trading down tro $19.20!... just keep repeating the mantra that KING is not ZNGA and we are sure the levitation will resume. Of course, this would have nothing to do with the record-setting levels of earnings-less IPOs that are occurring.